The Upper Valley Land Trust came into being when some residents of Lebanon and Plainfield began talking with each other about changes occurring in the region. Over many months, volunteers listened and learned from statewide environmental groups, community leaders and landowners. In 1985, the group decided to launch the Upper Valley Land Trust, and they never looked back. Today, UVLT has conserved more than 400 properties encompassing approximately 40,000 acres of land â€“ approximately 3% of the land base in the region. Just in the past year, UVLT has conserved 13 Upper Valley properties including 238 acres of prime farmland, a Tree Farm, three miles of frontage on scenic roads, 77 acres of wetlands, two Town Forests and a sugarbush. These conservation projects have expanded wildlife corridors for large mammals and protected upland songbird habitat. Seven parcels included public trails or other provisions for public access. 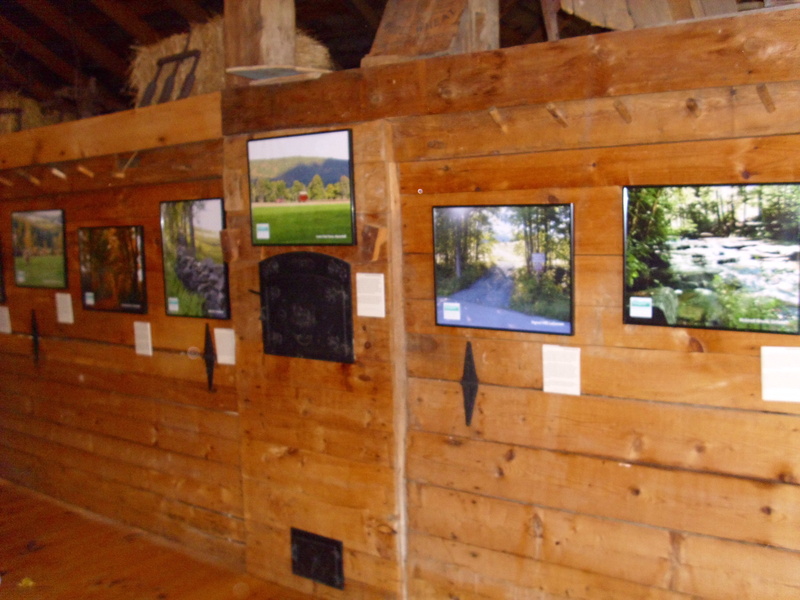 In celebration of the Upper Valley Land Trustâ€™s 25th anniversary, several of the organizationâ€™s successes will be highlighted through a traveling photo exhibit beginning in October. Venues that will be hosting the show include Dartmouth Hitchcock Medical Center in Lebanon, The Tip Top Building in White River Junction, and The Co-op Food Store in Lebanon, the Norwich Inn and the Quechee Library. The display will be at DHMC now through December â€“ if you have a moment, come check it out! It is located in the Mall Hallway on Level 4. For more information about the photo display, contact Megan Chapman at uvlt.intern1@uvlt.org or (603) 643-6626 ext.105.